Not just a full-service landscape and design business, we also have a landscape nursery located outside. With the ability to control and maintain our nursery stock, we have a variety of plants, perennials, shrubs, trees and even annuals here in our Milford landscape location. Take a moment, check out our landscape nursery in Milford for all your outdoor and landscaping needs! 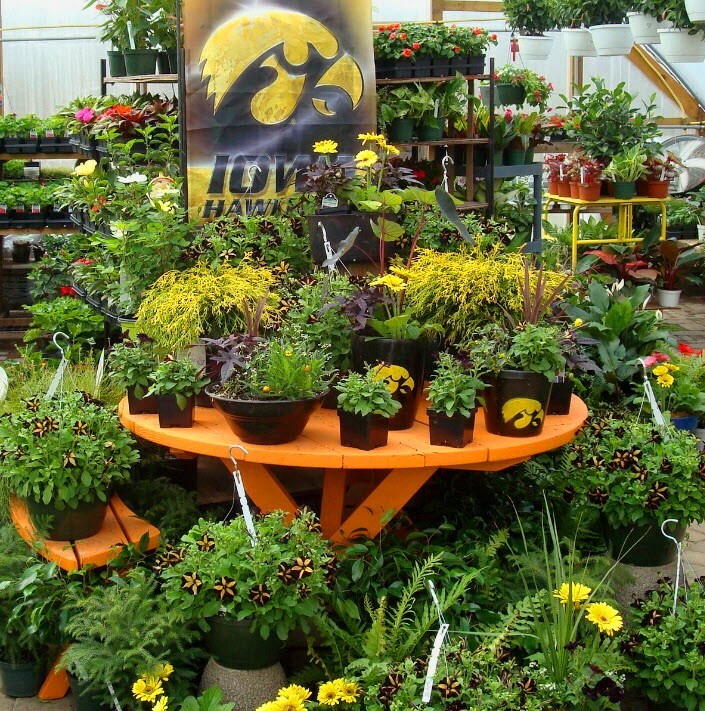 Just minutes away from your home in Okoboji or a short drive from Spirit Lake, we guarantee you will be happy with our well cared for nursery stock. 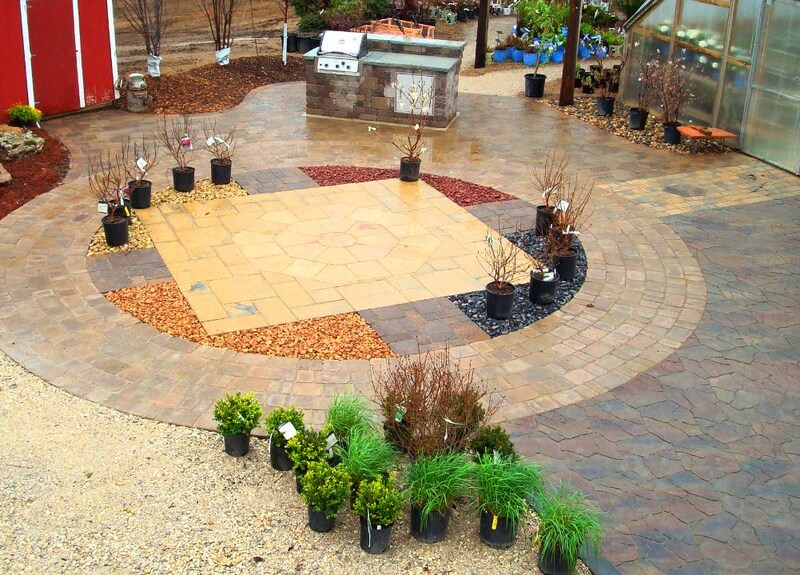 Visit Our Landscape Nursery for all your Landscaping Needs! Located just off Hwy 71 on the southern edge of Millford, Iowa. 4 Evergreen is a quick stop for the areas best landscaping supplies and landscape plantings for your home or property! Our location is 21457 214th Circle Ave, Millford IA 51351. And we can be found there during the work week from 8:00 am – 5:00 pm and most Saturdays as well. Check-in or call ahead if you are looking for a particular item. We should have it in stock, but if we do not, we will make arrangements to do so. Container Evergreen trees, balled and burlapped Maples and Birch, or even a few Oak. 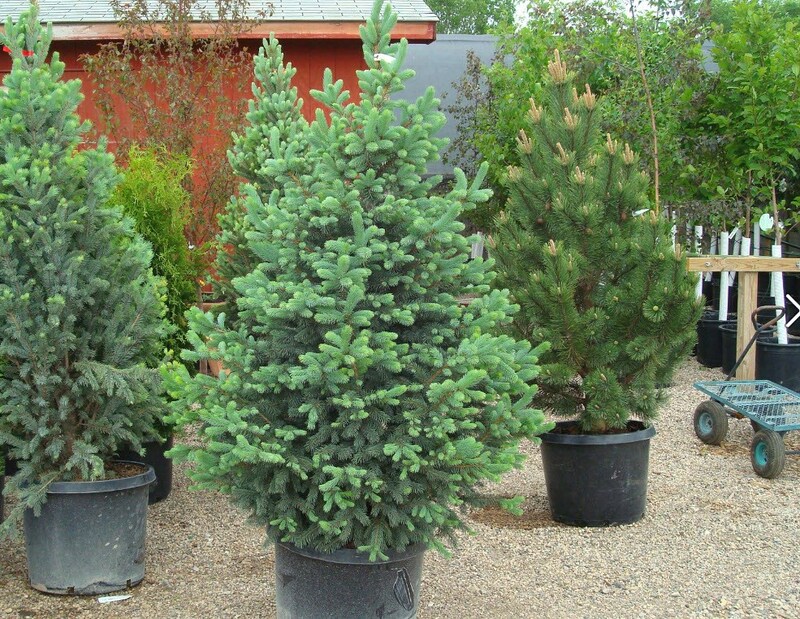 We have a wide selection of trees to help introduce height into your landscape. Not sure on what tree is right for your location, ask our expert landscape design staff, we will be sure to guide you in the right selection! Shrubs are a great way to make a statement at your home. Our wide variety of shrubs with a multitude of colors available, you are able to bring color next to your home throughout the seasons. 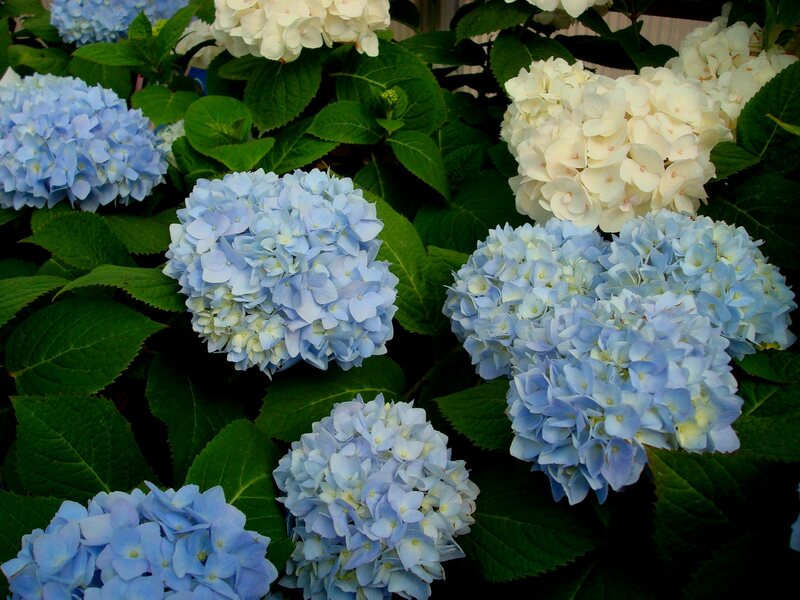 Looking for Hydrangeas, or maybe some Rhododendrons, even some flowering Weigela, we have the selection here at your Millford landscape nursery location! Adding yearly color to your landscape can be tough with annuals, and for those who do not have the time, perennials are a great option to do this. With the ability to grown and expand year after year, perennial beds are becoming more popular amongst our Okoboji landscape clients. 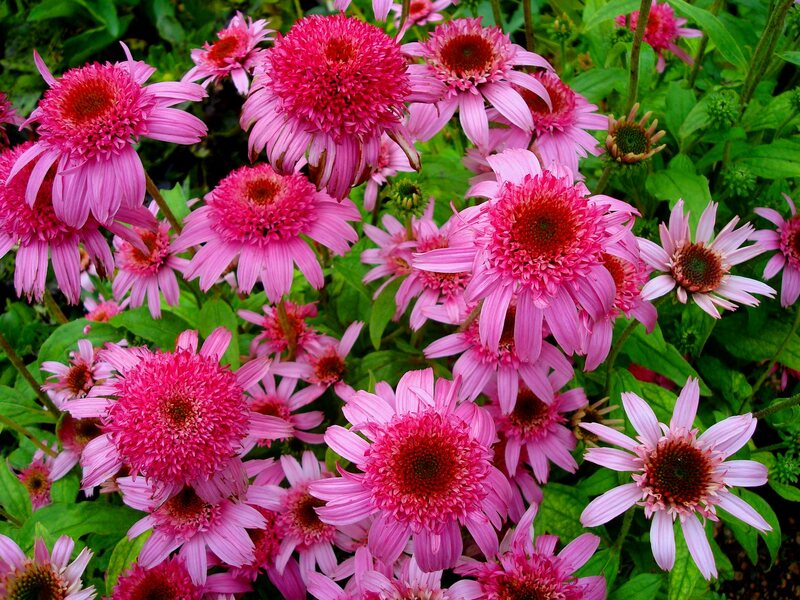 Take a look at our wide selection of perennials from Coneflowers and Daylillies, to Hostas and Sedums. We have it all here at 4 Evergreen Landscape! Everyone’s favorite annuals! The best way to add waves of color, add interest and ability to change out seasonal plantings by using annuals in the landscape. Have the experts sit down with you today to start planning how you can annual color to your patio, front of your home, or business enterance! From paver patios and brick driveways, we have a wide selection of paver products here at 4 Evergreen Landscape here in Millford. Our professional staff of landscape installation experts know what product is best for your home and property. Aside from the pavers, take a peek at our selection of stone and manufactured retaining wall products available. Build your next outdoor firepit or possibly build a grilling station to entertain in your outdoor kitchen or outdoor living space. As well our outdoor landscape supply selection includes a wide range of mulching and rock supplies. All this under one roof and one location. Talk to us more about through our selection of landscape materials and supplies we can make your landscaping dreams become a reality!